We are Leading Manufacturer, Exporter and Supplier of high-quality Fancy Fabrics . Our New Retail Brand "The Fabric Studio"" is now open in Mumbai. We are in domain of manufacturing, supplying and exporting a wide range of Fancy Fabrics. These fabrics are made using supreme quality threads and yarns, procured from the most trusted vendors of the market. 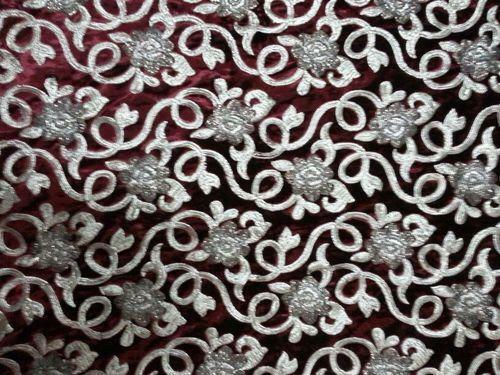 Our wide range of fabrics offered by us includes Brocade Fabric, Embroidery Fabric, Jacquard Fabric, Multi Colored Embroidery Fabric, Patch Work Fabric, Saree Border Fabric and Striped Fabric, to name a few. These designer fabrics are highly appreciated by our wide client-base for their tear resistance, colour fastness, unique designs and perfect dyeing.